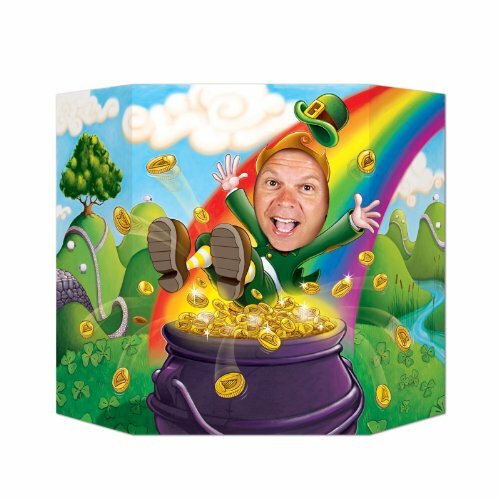 Get ready to have photographic fun on St. Patrick's Day with this hilarious set of holiday camera props! 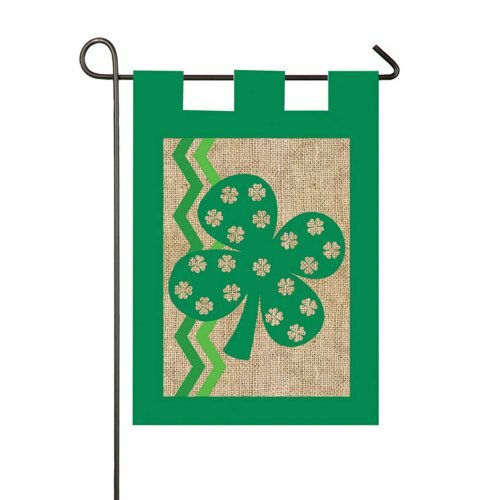 This is a set of 34 different St. Patrick's Day themed photo props. Use these silly photo booth props to add festive fun to selfies and party photos. 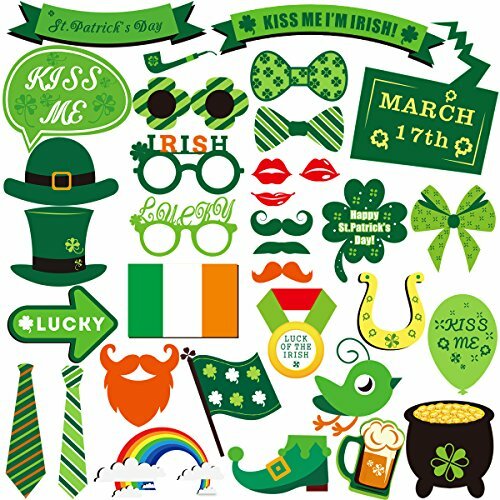 You'll get funny accessories like green glasses, mustaches in different colors, and Irish style neckties. You'll also get thought bubbles and slogan signs that read festive things like "Kiss Me" and "Lucky" and "Happy St. Patrick's Day".